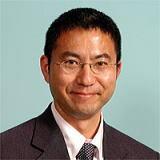 Dr. Masahiro Miura is an associate professor in Ophthalmology at Tokyo Medical University, Ibaraki Medical Center. Dr. Miura earned the MD degree from Nippon Medical School and PhD in Engineering from the University of Tsukuba. He received ophthalmology residency training at Nippon Medical School Hospital and fellowship training in retinal surgery at Ideta Eye Hospital. Dr. Miura opened medical retina clinic in Tokyo Medical University, Ibaraki Medical Center since 2010, and had considerable experience for the treatment of age-related macular disease. Dr. Miura is known for his innovation in biomedical imaging. Polarization measurement, Doppler measurement, optical coherence tomography, and scanning laser ophthalmoscope.